It’s that time of year again. The time to look at the past to see where we might be headed into the future. I’m going to list all the articles I’ve written over the past year below that have generated a good discussion, so that we can review them one more time to know where we might be headed in the future. My hope by doing this is to see what predictions have gone wrong for me, which have gone better, and which we can learn from to see how we can approach Magic finance. This article takes the top spot for most comments of the articles I’ve authored in 2015. I’m not surprised that it generated so many comments – after all, we thought items like fatpacks were immutable to market pressure because Wizards could just print more of them… but we learned very quickly that wasn’t the case. Looking at it again, the article was meant to highlight that this was a highly unusual case for fatpacks because they usually just sit on the shelves at your local game store, gathering dust until someone wants another box for their collection and also decides that they should get a few packs at the same time. Unfortunately, until we get more of the same type of fatpacks in Oath of the Gatewatch we’re still going to see $60+ prices on these guys. Even after more land packs are introduced, I’m not sure if the fatpacks from BFZ block will ever fall below retail due to the huge demand for full art lands. 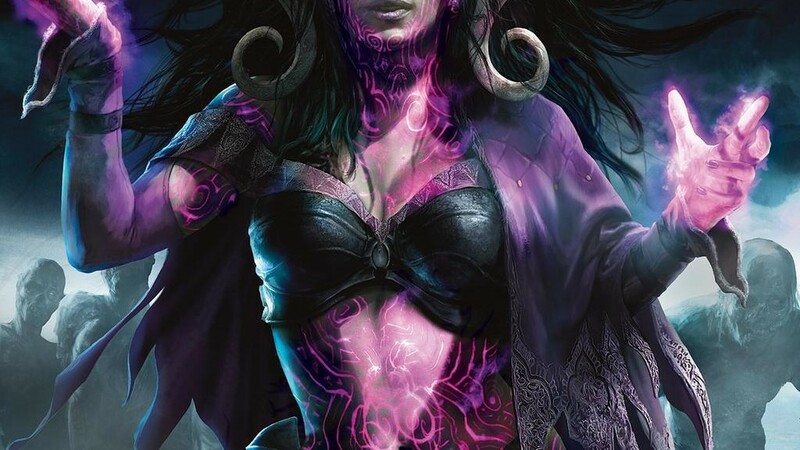 My next most commented article, this piece highlighted the extreme divergence from a value-centered Modern Masters 2013 set to a… let’s be generous and say limited centric experience for those opening Modern Masters 2015 boosters. Specifically, the rares of Modern Masters 2015 were a total trainwreck in terms of value. It had more than double the amount of bulk rares that Modern Masters 2013 included. Thus, many players were frustrated with the fact that pack prices increased while the value of opening single packs over boxes (basically, drafting the set) decreased. Out takeaway here is that Modern Masters sets will keep giving us stuff like Tarmogoyf and Cryptic Command but otherwise will start focusing on limited more than the value of the rares included. This blurb was a catch-all of the comments I had concerning prices after the release of Modern Masters 2015 and leading into the Grand Prix that followed the release weekend. I noted that cards like Primeval Titan didn’t shift much in price after the release, while others were on their way up and up hard. As we all remember, Snapcaster Mage experienced a humungous spike because of the omission of Innistrad from the set. 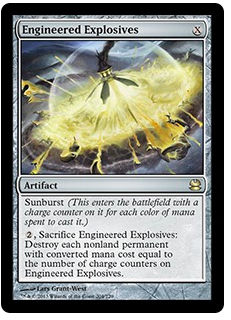 Other random cards, like foil Omniscience, also spiked at the time since they too managed a reprint dodge. Of course, since then many of these cards have settled down from their post-release spikes but could yet again see another resurgence in price as the next Modern season approaches. Modern is quite an unpredictable beast, so it will be hard to tell which cards will spike the hardest but we’ll definitely be seeing higher prices on many Modern staples as the season approaches more closely. This article highlighted all the issues I researched concerning the release of Modern Masters 2015. I think this article, along with my one about the general value of rares you can expect to pull out of a pack, are quite telling in terms of the quality control of the set. You can check out the article for specifics, but there were a ton of issues with the green packs that Wizards created for this Modern Masters release. Collation issues, in pack damage (something also seen with foil Expeditions *sigh*), and other mishaps like order allocation scares were enough to get people like myself to notice and comment. Hopefully this year we’ll experience less issues with premium set releases, though based on Expedition damage issues I’m not sure if the quality control measures have been fully implemented at this point. Here I commented on which cards from Theros block were the best targets to hold moving forward. I still maintain that Thoughtseize is the strongest target since it is the best discard spell in the Modern format at rare. Foils are still a great pickup, since they haven’t moved in price since I commented and I believe that they have nowhere to go but up until the next reprinting. Check out the article for more thoughts on where I think certain Theros staples are heading in the future. My most exciting clash pack review to date, this review generated buzz since it contained Windswept Heath! Now that we know that precon products like clash packs will contain in-demand Standard staples, as well as event decks containing mythic rares, I think it is a wake up call to us all that Standard staples are not great speculation targets anymore – not unless you pick them up in preorders before the set is released, and it is always a difficult thing to predict the metagame. We all have our stories of failed speculation targets, and mine are also included among those. What this clash pack has taught me is that I need to be even more careful when picking up Standard cards for future gains, and I think instead I will need to think about their appeal in Modern and beyond (as well as foil pros and cons) before acquiring any Standard legal cards moving forward. Though I looked at Fate Reforged as a whole in this article, I’ve more highlighted the fact that Ugin, the Spirit Dragon is an unusually popular casual card – so much so that it continued to demand a $30 and higher retail tag even after the set had saturated the market. I’m not one to say I told you so but… Ugin is now a $50, and won’t go down until Fate Reforged rotates from Standard. Foil Ugins, on the other hand, have dropped in price considerably since I wrote that article. Since Standard players rarely have need of foils, the initial Commander got-to-have-it-now hype has died down and you will be able to get a great deal on a foil Ugin over the coming months as Fate Reforged rotates from Standard. The other incredible mythic rare from Fate Reforged, Monastery Mentor, also deserved his own article from your’s truly since I believe that he has great eternal appeal based on early results from tournaments after Fate Reforged was released. A nice win for me, my own copies that I procured back in April after I wrote the article have appreciated well. According to the price history, that was the low point for foil mentors and they’ve gone past $70 each retail since then. I hope you all were also able to pick up foil Mentors throughout the early stages of last year before they crossed $50 or even $60. 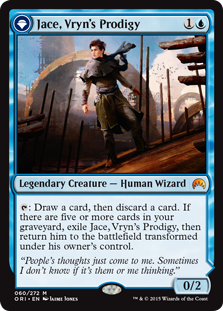 Here, I spent a great deal of time considering Jace, Vryn’s Prodigy and why his price history was mirroring that of most broken planeswalker of all time, Jace, the Mind Sculptor. Even now, I fear that I underestimate the power of little Jace in eternal formats. He seems to keep exceeding all of my expectations for what a Standard legal card can become value-wise. Now, I’m thinking that his price will never go below $30 since the demand he sees in Modern (along with a short print run of Origins) will forever keep him in the low $30 range until the inevitable reprint happens. Finally, the last article I want to talk about it has a more personal touch to it than many articles I release for MTGPrice. The article poses the question “Is it worth it to trade anymore?” based on several premises such as the time to trade, more cutthroat approach to trading, and condition-based trading that seems to be happening these days. The piece probably strikes most of you as something that an old curmudgeon harpening back on the glory days of Magic trading would spew, and there certainly is quite a bit of complaining to back that up. Maybe I’ve been neglecting to fully utilize and learn the new tools of the trade that have been given to the player community. After looking at this article again I want to make it one of Magic related news years resolutions to finally not be frustrated with the way trading happens for me these days, and instead to embrace technology for the additional opportunities it grants me rather than the slow-down it seems to have become. Puca banning users from selling points hurts trading on that exchange somewhat, but even then I still think it is a great way to pick up Commander and Cube staples that I have a hard time finding locally. 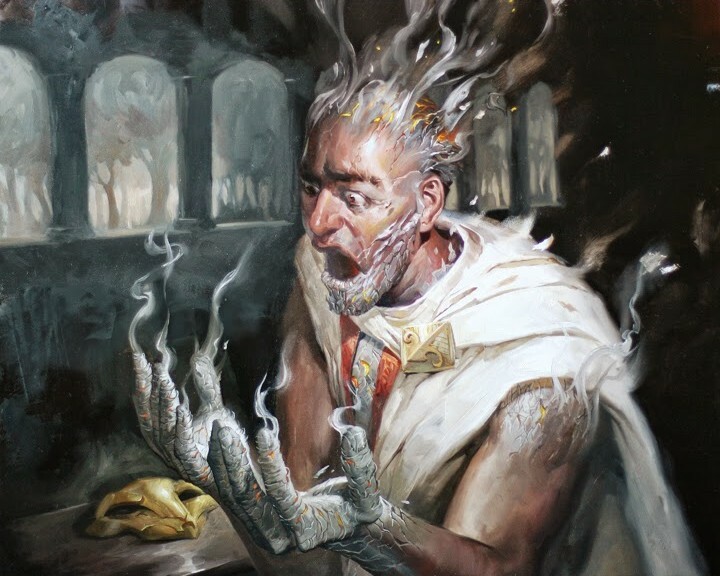 The apples and oranges of MTGFinance might be clear cut to some, however to others they can lead to mistakes that make Magic a very frustrating game to play on a set-to-set basis when considering the financial aspect of the game. These are some of the areas of interest that we all are aware of but sometimes think that the application of one area can apply similarly to the another in exactly the same way. The differences are subtle, but can make a world of difference when you consider the ramifications. Let’s take a look at some of these scenarios and see where the differences lie. Example One – I’m buying or trading into my Standard cards for the next few months by closely watching Pro Tour coverage, and making my decision based on the the results seen. My friend is also making these same decisions at the same time but instead of watching Pro Tour coverage he is instead following the advice of Twitter personalities (finance or otherwise) in order to make his decisions. Here, we might wrongfully assume that these two scenarios are basically the same thing. However, picking cards through watching coverage is vastly different than using Twitter to decide on which cards are the best to get in on. Twitter in this case can actually be much slower, and the reason why is the old adage “If someone already is talking about something it’s too late.” Also, by watching coverage you can actually see just how powerful the card in question really is. Did the card make an actual, significant impact on the game? Or was it just a “win-more” card that supplemented the game but wasn’t the vital piece of the deck’s strategy? A picture is worth 1,000 words and video coverage is almost impossible to convey in 140 character blurbs. The reason I mention this is because even I myself have been burned in the past by thinking that Twitter is enough to see where card prices are going based on weekend results. The real gains come from a more in-depth look at the weekend, including watching live coverage and also deck analysis (if you have insider access to SCG premium for example) prior to the event. In this example, both players would be on the same level if they both analyzed results on a deeper level. Example Two – I have a great idea for a spec, and want to buy in on that spec in mass quantities before the market catches up to the real demand. So, I buy 300 copies of the card all at less than $1. 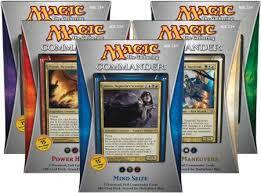 The card is from the Commander product series and does see an increase from $0.75 to $4 within the next week. My friend also decides to spec on a card, and he buys in on 300 copies of his card as well. The card is from a Standard legal set and also goes from (let’s say) $0.50 to $3 overnight as results from the latest tournament roll in. We’re both going to making bank, right? Well, here you would (almost always) be dead wrong. 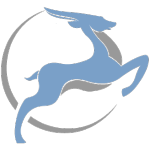 Commander speculations are certainly great, however they are always for the long term – when making a Commander speculation I know that I am going to hold onto that card for at least one year before I can start largely liquidating the stock. 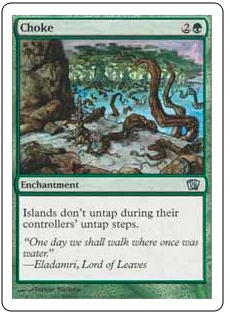 Standard, on the other hand, everyone wants because it is the most popular format. That card that my friend speculated on will be super easy to liquidate since all the big retailers are going to want 20+ copies each, and will continue to want them as they keep selling out of stock. This also means that the buylist price will stay higher for a longer time since the demand is just so much greater. Niche cards tend to have their buylist prices decreased once supply is filled since stores run out of stock less often. This is why for Commander I prefer to stock up on foil versions of popular cards rather than non-foil versions, simply because as they age they will go up even more in value than non-foil versions and I get the added benefit of being able to easily sell them on eBay since many players pick up foils through that medium. I’ve got a solid binder of Commander foils that keeps appreciating nicely over the years, and I attribute it to my philosophy on trying to get foil versions of Commander cards over non-foil. 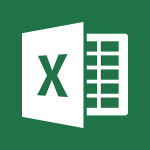 Example Three – I keep a running tab of my purchases, sells, and profit margins through a spreadsheet that I maintain myself. My friend uses several different sources to keep track of progress – PucaTrade, Deckbox, MTGPrice, etc. We both know exactly where we stand in terms of net profits, right? Here, the line becomes more blurred between apples looking more like oranges but I still feel that these two separate methods are distinct in a very big way. Time management. Managing your own spreadsheet of gains and losses, trades and buylist sells, can be exhausting and it doesn’t have to be that way. I used to spend hours combing through my list, sometimes daily, to see where I was headed in terms of boosting the value of my collection. 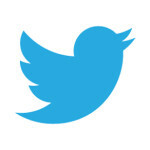 Now, the internet and programming have made much that management very efficient. Utilizing tools like PucaTrade, Deckbox, and MTGPrice to keep track of a collection is nothing short of incredible. Only slight updates are needed and the system takes care of the rest. Sure, there are still time management issues when it comes to inputting large amounts of cards at a time (which hopefully will be resolved as picture scanning software becomes more usable for both commercial and private ventures) but hopefully as time goes on it will become less painful to manage larger and larger collections. I hope that this article has shown you that there are differences, however slight, in the way that scenarios are setup that can lead to hugely different outcomes when dealing with the financial side of Magic. I’ve shared my top three scenarios that I find can sometimes mislead players into thinking they will get the same outcome as someone else, however did you have any other scenarios in mind when reading this article that you also think are pretty relevant to Magic (or more specifically MTG Finance) ? I’m always on the lookout for more ways in which things appear to be the same but are actually different, for it is in this way in which we find the best path to compare methods and to see the optimal way to improve them. This week I’d like to take a look at the most played cards in Modern, how Modern Masters 2015 has affected their prices, and what the future holds for many of these cards – including those which did not get reprinted. Based on my observations from Modern Masters 2013, we’re going to be in for another interesting ride this time around as well. Unlike last time, we had up-to-the-minute price tracking at GP Vegas because MTGPrice had authors on the floor keeping track of the event for everyone. This enabled us as a community to see in real time what the dealers were paying for certain cards from the set that weekend. Why is the GP weekend important? Because it shows us which cards the dealers felt were going to be the most important going forward by having their buylists reflect that confidence all at once (due to the massive influx of tons of people opening expensive cards and wanting to offload them). Hey, even Standard cards made the list! Thanks for the snapshot Douglas Johnson. 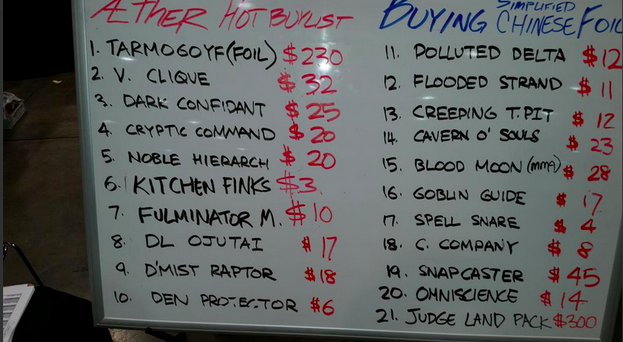 As Corbin mentioned in his post on June 4th, the dealers had to compete with buylist prices for chase cards like Tarmogoyf because even though only one or two vendors had a high buylist price for the card initially (the $130 and higher range) that meant that everyone else eventually had to raise their buylist prices in order to snag some Tarmogoyfs for themselves. 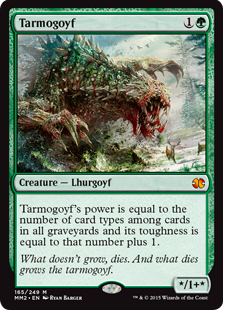 As they say, history is doomed to repeat itself and Tarmogoyf is no exception. Don’t get me wrong. This time the price of card did drop. Going from $220 to $170-$180 is definitely a discount. Yet, is it good enough? I’m sure we’re all thinking to ourselves that a 22% discount isn’t really that great in this case since the card is still pretty darn close to $200 per copy, which is what sets like MM15 are supposed to remedy. Many players were expecting ‘Goyf to fall much harder than this. A lot of us in the mtgfinance community we’re pretty solid believers in the idea that ‘Goyf might even drop into the double digits, at least for a while. Yet, the card is still as wildly popular and in demand as ever and an entire slew of fresh reprints hasn’t really made a large impact in the retail price. Again, let’s go back to the release of Modern Masters 2013. That time, ‘Goyf didn’t move in price at all. It was $120 before the release and stayed $120 after the release. There are two reasons for this. The first is that ‘Goyf was (yet again) printed at mythic rather than rare. 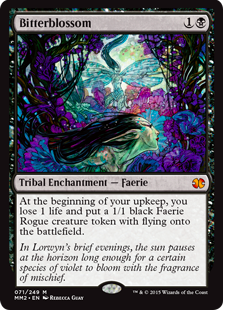 I can understand why Wizards printed it at mythic the first time around – they wanted to make sure that they didn’t crash the price of the card and create a situation similar to Chronicles. This time around they could have done things differently though. They knew that printing ‘Goyf at mythic wasn’t going to do anything to its price in the long term. This leads to the second reason that ‘Goyf didn’t move in price this time and last – the player base increase. Once you get a taste of the ‘Goyf, well you just can’t have only one. You need a full playset in order to make it work in Modern. Jund just isn’t the same without four of them. 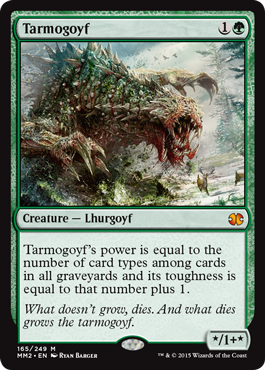 It also doesn’t help that Jund has been doing really well in Modern recently, further exacerbating the demand for Tarmogoyfs in the format. I think Wizards made a big mistake not printing ‘Goyf at rare this time around. They knew what happened last time, knew that players were still going to demand a large amount of ‘Goyfs this time, and still decided to keep it at mythic and guaranteeing it an absurdly high price. If it was a rare we wouldn’t be seeing the $180+ retail prices but I still think that ‘Goyf would be in the low $100s based on the demand we’ve been seeing in Vegas and beyond. As it is, by the end of the year we all know that ‘Goyf is going back to $200 and beyond as time continues. Again players who hoped to pick up ‘Goyfs cheap have had those hopes dashed. Alright, alright, enough about ‘Goyf. I’m sure you’ve heard about him to death at this point and I’ve said what I have to say on the matter. Let’s see some prices on other staples. Also, let’s take a look at the data with the previous retail prices and see how much of discount we’re getting on singles now. 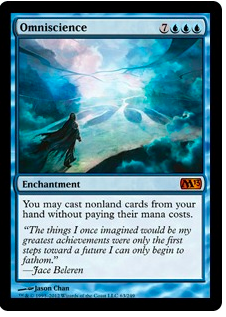 (All cards in MM 2015 with a buylist price of $1 or more. Bolded all discounts of 35% or less to see which cards were the least affected by reprinting). 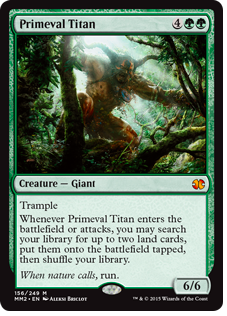 This is pretty interesting to me – who would have thought that Primeval Titan would still be about the same price after the reprint? The only deck it’s played in is Amulet Bloom, a deck that was almost destroyed by the banning of its champion Speck if not for the superb finish of Justin Cohen at GP DC. Also, it’s banned in Commander! Where is this demand coming from!? Well, my guess is that more people became very interested in Bloom Titan after seeing Justin smash face with it, and this makes me think that other pieces of the deck that haven’t been reprinted (and there a few – Azusa, Hive Mind, Summoner’s Pact, Gemstone Mine, etc.) will soon be under someone’s radar. 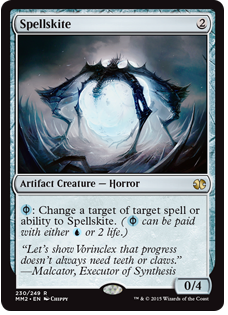 Though I shouldn’t be surprised, I’m still pretty confused as to why Spellskite hasn’t dropped much in price. The card is mainly sideboard tech, albeit one that is included in basically everyone’s sideboard in Modern, but for a reprint to not move the price more than 15% is pretty telling. This means that many more people are trying to pick up Spellskite in order to combat the onslaught of Twin variants and decks that pack tons of spot removal. Due to Phyrexian mana, it truly is an evergreen card that can perform well in every deck / sideboard. Already we’ve seen several cards start climbing up in price due to not being in Modern Masters 2015. 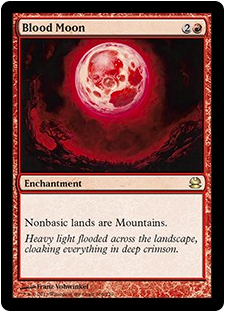 Blood Moon – This card has spiked to $50 due to a buyout, but I’m not sure if it can sustain that price. Blood Moon is great in Modern but only because people are playing greedy, three-color decks that can be hosed by it. Plus, in certain matchups it can be dead. The card was printed in Chronicles, so there are tons of these out there. I think if you want to pick up Blood Moons you will unfortunately have to wait. 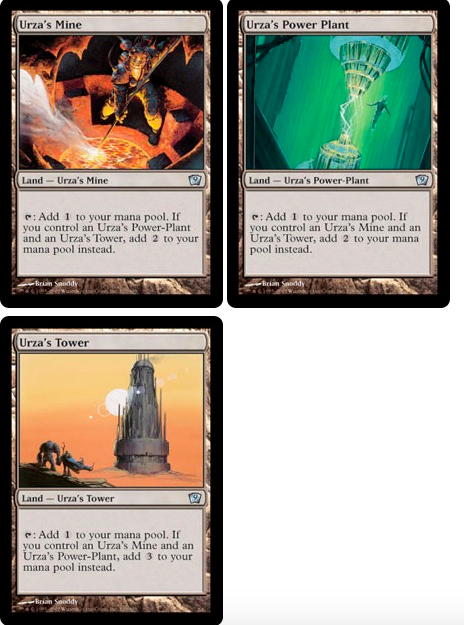 Urza’s Mine (and others) – Another buyout on TCGPlayer, this card will increase in price but the $18 I’m seeing it listed at won’t stick. However, this buyout will get people to notice that Tron lands were not in MM15 so expect the prices of others to tick up over time as well. Omniscience – MTGPrice authors from Vegas were tweeting and writing updates about how Omniscience seems to have been bought up by a ton of the vendors and that they were continuing to seek more copies. This is a Modern legal card, however demand here is coming from Legacy (since Omni-Show is currently one of the best decks in the format) and casual/EDH demand. Still though, regular copies are closing in on $35 and foils have broken past $100 due to not being seen in Modern Masters 2015. 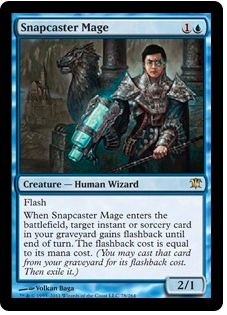 Snapcaster Mage – Everyone’s “duh” pick for going up in price since we knew Innistrad wasn’t part of the MM15 set, Snapcaster has now broken through $60 and I don’t see him stopping there until the next reprint. He is currently one of the most played cards in Modern. Foils have yet to catch up to the regular price, so if that’s your thing now would be the time to get in on foil Snapcaster Mages. 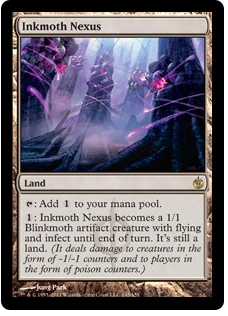 Inkmoth Nexus – Blinkmoth Nexus was given the nod for MM15, which means that cousin Inkmoth was ripe for a price increase. 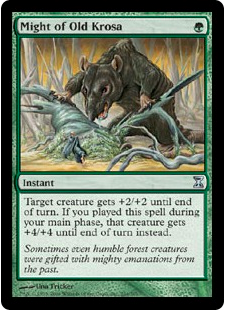 This was probably one of the fastest cards to spike after MM15 was fully spoiled. I expect that Inkmoth will continue to go up since the decrease in price of Mox Opal and Etched Champion means that other parts of the deck will become more expensive over time. Steel Overseer is probably next in line for a price hike. 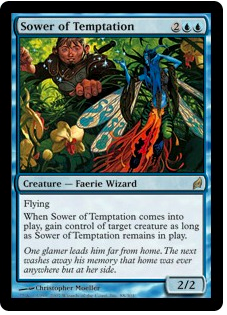 Sower of Temptation – Casual and Modern sideboard demand has driven up the price of Sower to $25, and I can see it continuing to climb since Lorwyn is such a hard-to-find set. Be aware, though: this card is easily reprintable. 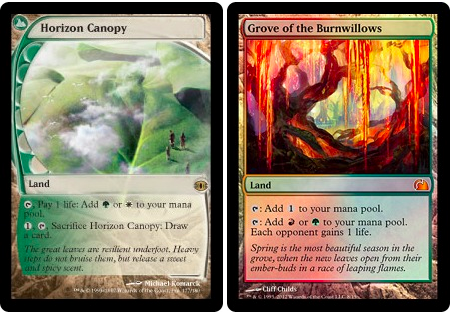 Horizon Canopy and Grove of the Burnwillows – How these lands managed to dodge a reprint, I’ll never know, but they did so expect prices to start climbing up to match demand for Tron and Bogles players out there. One theory that Burnwillows didn’t get the reprint is because they knew Birthing Pod would be banned, so one of primary drivers for demand is now gone. 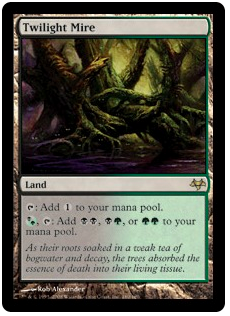 Twilight Mire (and other filter lands) – Though they didn’t get a reprint and will continue to creep up, I still advocate avoiding these lands at all cost. Once they get reprinted, they will be hit hard so only get enough copies for your immediate needs and nothing more. 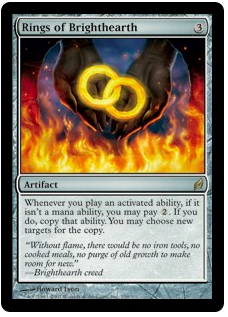 Rings of Brighthearth – With non-foil copies clocking in over $20, this card has infinite casual demand behind it. Again though, like filter lands once the inevitable reprint occurs it will bottom out hard and take forever to recover. Acquire with care. Might of Old Krosa – Due to the reprint dodge, these have hit $9 and I don’t see them stopping since Infect is a viable Modern strategy. Choke – An amazing sideboard card in Modern and even Legacy, I expect Choke to also creep up over time due to not getting a reprint. Engineered Explosives – My final card mention is E.E., which according to floor reports was one of the sought after cards by vendors in the Modern Masters three GP weekend. It has been slowly climbing up to $10 but I still think it has legs and will grow more over time. I believe Jason was the first to mention this but it’s pretty obvious in retrospect – Wizards can’t reprint everything. I’m sure you’re starting to get the picture at this point, but the release of Modern Masters 2015 caused just as many (if not more) price hikes as it did discounts for cards. For several Modern staples, the prices are now low enough that getting in on a deck like Splinter Twin or Affinity is starting to look plausible for many folks. However, the parts that weren’t reprinted will start rising due to the demand of the other cards and probably make it a wash in the end for those players who pick up singles more slowly than others. That’s all for this week, thanks for reading.